The News: Writer's itch, what to do about it? Writer's itch, what to do about it? The Cherry Blossom Festival was CROWDED! The flowers were gorgeous though, wouldn’t you agree? A few days ago a new story began to brew in my head, and I got writer's itch. You know where you just need to reach out and start putting ideas down on paper. Oh dear, I’m supposed to be on break. Now what do I do? The problem is that if I don’t write it down, I lose it. I’m talking about those brief moments of exhilaration, when the sun breaks over the mountains, light spills across the valley, and you understand in clear vivid detail how it all fits together. So, what’s a wanna-be writer to do? Of course I should crack open a notebook and jot it all down, but then I’m not letting the story rest. If I push it away for later, I doubt it’ll come back. It’s definitely a catch-22. Maybe I'll write some fragments down, but maybe, just maybe, I’ll start on Book Two in the series. I’ll let you know how it turns out. Maybe I just need to get the ideas on paper. We’ll see. Advice, comments, suggestions anyone? Hope you have a great weekend! 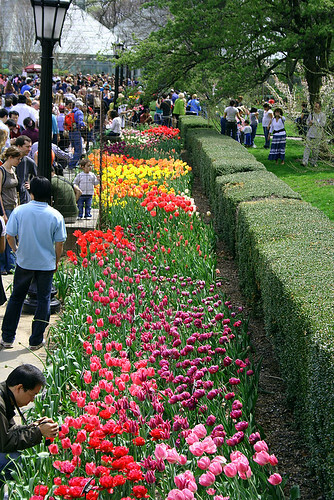 Looks like the weather here in NYC will be nice, If I’m able to break free from the ‘ol pen and paper, I plan to go to the NY Botanical Garden. If I do, I’ll post some pics next week.